Unless you have only just crawled out from some windowless dungeon, you have heard of them. Bitcoin, Litecoin, Ethereum, Dogecoin to name but a few. For those few dungeon escapees, cryptocurrencies are encrypted digital currencies that have value and can be used to trade goods and services. The currencies are afforded scarcity and security by means of “block chain” which is a kind of recording system for all transactions and ensures that you cannot just use the same crypto coin over and over again. Some people claim that they are merely a nerdy fad that will pass in due course: “real” money will prevail, they say. But promoters of “crypto” say that they are future and, given their steady exponential growth, they may well be right. Online Casinos have been around for almost as long as the world-wide web. Lots of people love casinos and love to gamble so making this service available to them online was a no-brainer. Gaming companies were quick to pick up on the potential and it didn’t take long for them to move their casino and other gaming operations online for the convenience of the vast, game-hungry audience out there. The popularity of online casinos quickly justified that investment. It opened up the chance of playing casino to the throngs of people everywhere, especially those gamers living in areas where physical casinos are either restricted by law or forbidden altogether. Gamers no longer needed a tuxedo and a femme fatale on their arm to enjoy the pulse-racing excitement of playing their favourite games. All they needed to do was sign up for an account, deposit some money by means of a credit card and let the games begin. Playing online was not without some downsides, due pretty much to that fact that players had to use a credit card in order to join in. This means that the bank is, in effect, the middleman in the relationship and most of them charge processing fees for using the card to deposit money with the online casino. Banks charge processing fees for depositing money with the casino and some banks even refuse to allow their customers to use their cards for online gaming, even though it is not actually illegal. Added to this is the risk of data-breaches and hacking and these things have been known to happen. There is always some degree of risk in using a credit card online. It doesn’t take long for gaming companies to catch-on to and employ new technologies. In fact, the first bitcoin casinos started coming on stream a few years ago. Since then many, many more have sprung up. Some were start-up companies but other bitcoin casinos were opened by companies that were already established in the sector. Crypto casinos offer a number of advantages over the traditional credit card models. First of all, cryptocurrencies effectively cut out the middleman which means the banks. That means that players don’t have to reckon on the extra cost of processing fees. Nor do they need to concern themselves with banker’s restrictions on gaming sites. Furthermore, because bitcoin and other cryptocurrencies can be used anonymously, players are more secure as they no longer have to disclose their banking information online to play. Some crypto casinos are offering larger-than-usual sign-up bonuses to their new customers, which is a direct reflection of the lower transaction costs. As of last year, it was estimated that there are around 3 million regular cryptocurrency users worldwide. That figure is almost certainly higher now and is likely to grow considerably in the future. Bitcoin gambling is cheaper, safer and far more convenient when compared to playing with credit cards. Combine those factors and it becomes obvious that crypto casinos are the way forward. 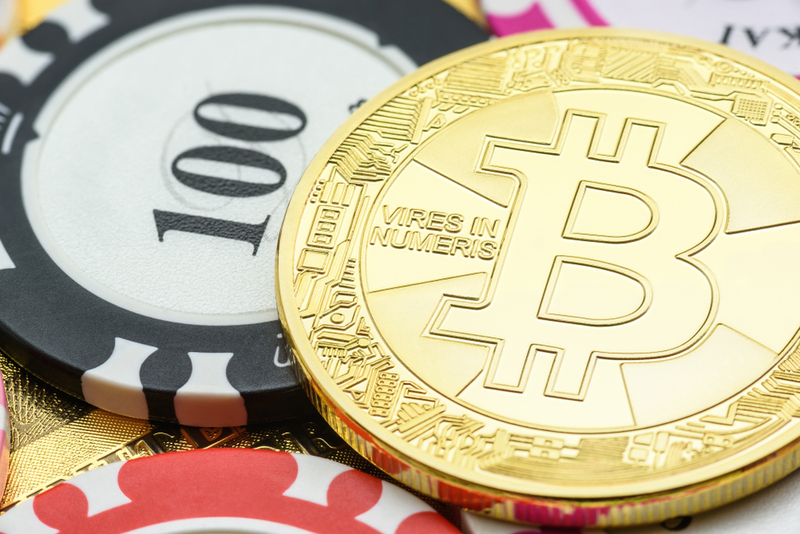 Bitcoin gambling is by far the most popular right now, but other types of cryptocurrency are growing in popularity too. As they do, so will the choice and range of crypto casinos. The future looks bright for cryptocurrency casinos and their customers.